My good friend Tom Bennett's book comes out today and I want to commend it to all of you! Tom is a top notch philosophically trained theologian and pastor. This is a revised version of his doctoral dissertation, completed under Joel Green in theological interpretation at Fuller Theological Seminary. Anyone who has kept up with theological publishing in the last half decade or so knows that Baylor Press has put out some phenomenal publications; books with interesting and well-argued theses that are easy to read and significant academic contributions. I expect Tom's will quickly rise to the top of list for 2017. 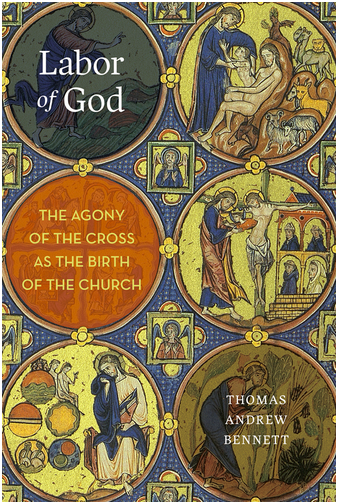 Bennett's Labor of God is a compelling hermeneutical and theological argument that the atonement is an act of divine labor, whereby Jesus undergoes the birthpangs of giving birth to the church. If I get hold of a copy, I may try and review it for you, In the meantime, buy it today at indiebound or at amazon; or, check it out at the Baylor table at AAR in Boston this November.